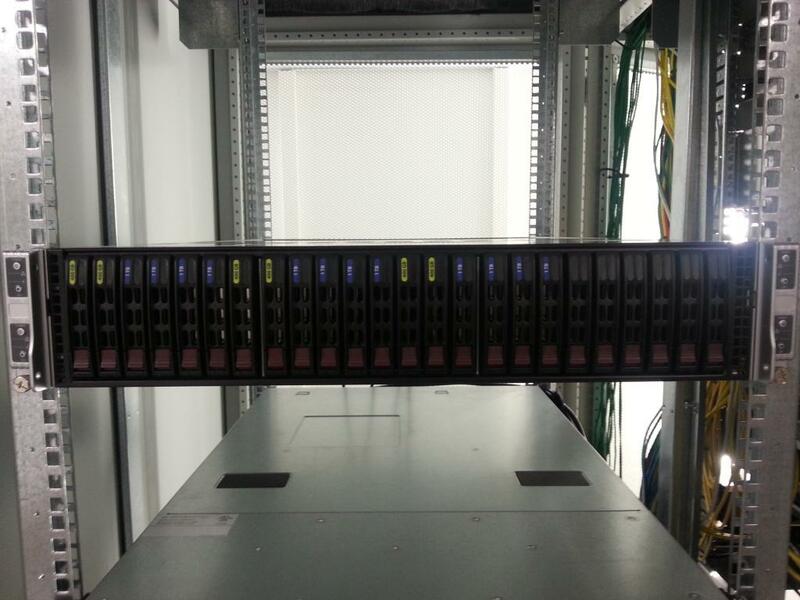 i just setup a new Nutanix Block (NX-3050) in our Democenter.. If you don’t have a Mac OSX (thru Bonjour) available and you want to detect the block in the Network you can do this thru Windows quite simple. Download and install the Bonjour Print Services from the Apple Site (Download), this will not detect the Nutanix Block at all but you can add the Bonjour Browser which is a simple to use freeware tool from here (Download). 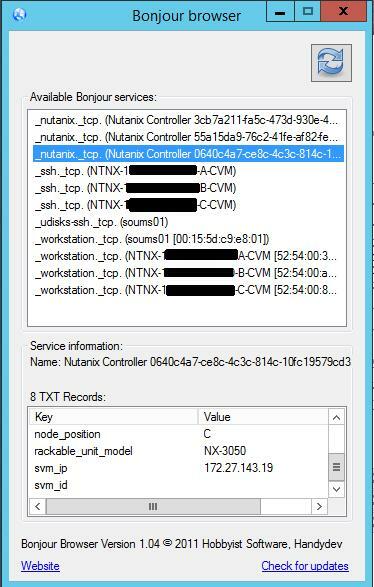 Install the Bonjour Browser too and execute it, the Browser will now detect all devices in the network using the Bonjour Administration Service and you can now detect the Nutanix Block incl. 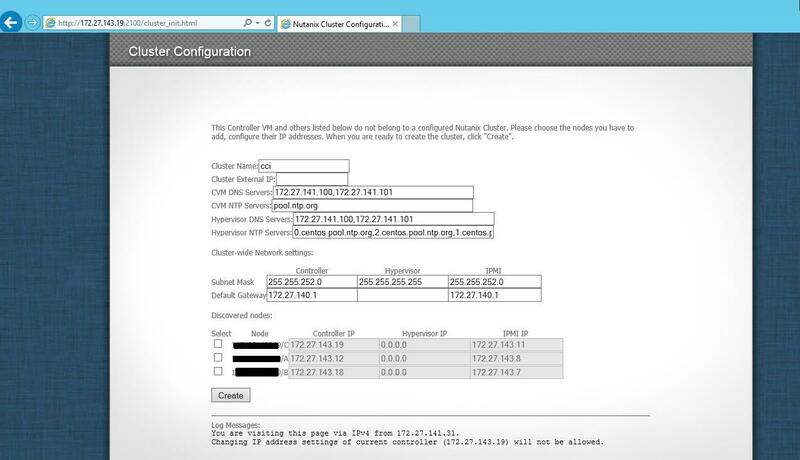 all IP’s and SNr for further configuration in a very simple way. This entry was posted on Friday, May 23rd, 2014 at 10:45 and is filed under Nutanix. You can follow any responses to this entry through the RSS 2.0 feed. You can skip to the end and leave a response. Pinging is currently not allowed.